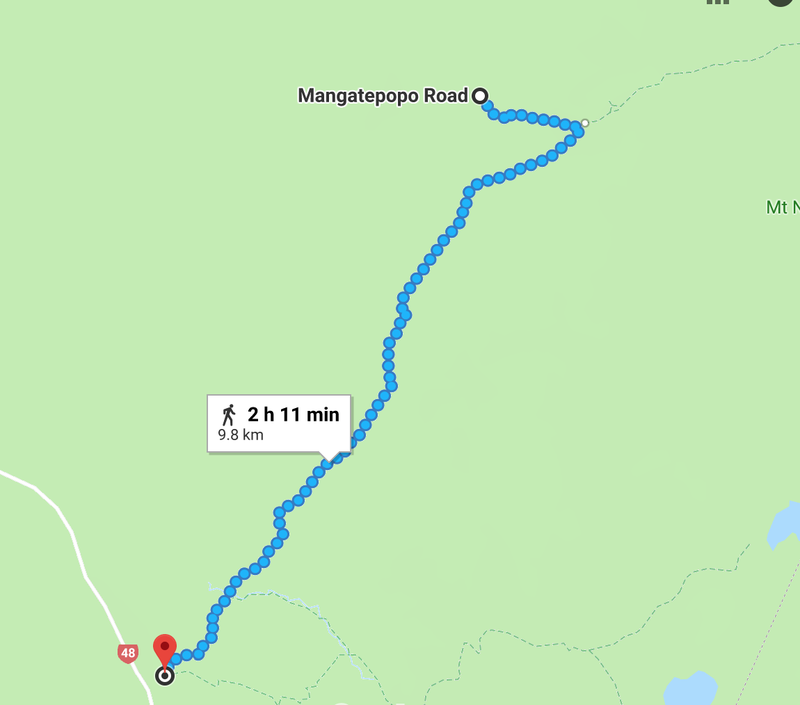 Day 12 (January 7th) of our Hobbit-inspired trip in New Zealand would be the final day of hiking before we hit the Mount Ruapehu Walking Track. 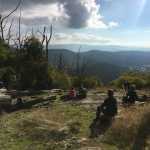 Check out previous days adventures here: Day 1-2, Day 3-4, Day 5-6, Day 8-9, and Day 10-11. Our morning started off in the mist and gloom of the final section of the 42 Traverse our aim was to get to the Slab Road car park. 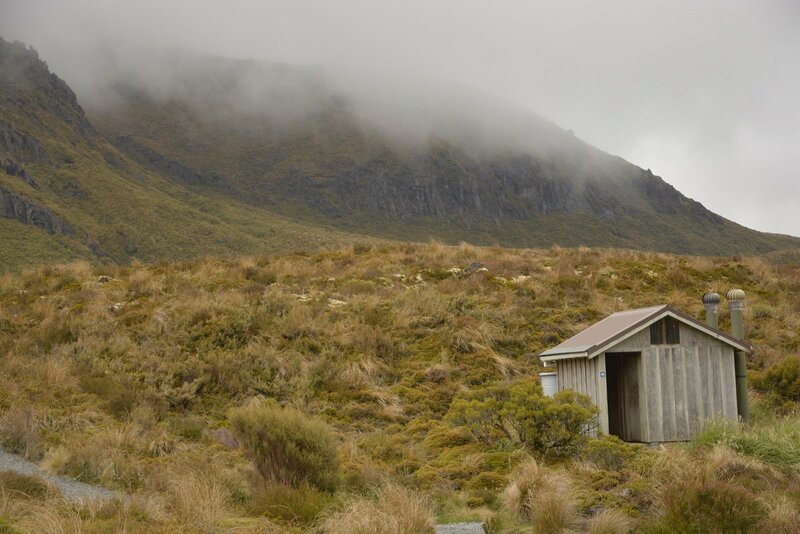 From here, we had pre-organised to hitch a ride to the Mangatepopo car park – also the start of the Alpine Crossing – in the Tongariro National Park and hike our way into the Skotel Alpine Resort in the Whakapapa Village. Prior to the rain washing us out in Owhango, our original plan was to keep walking further to the Kapoors Road car park where we were informed that a makeshift campsite was nearby for us to use. 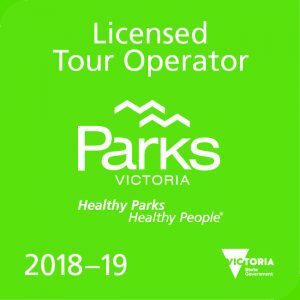 However, in-line with readjusting our plans, we also had to readjust how we were going to get to the Mangatepopo car park without any further delays. 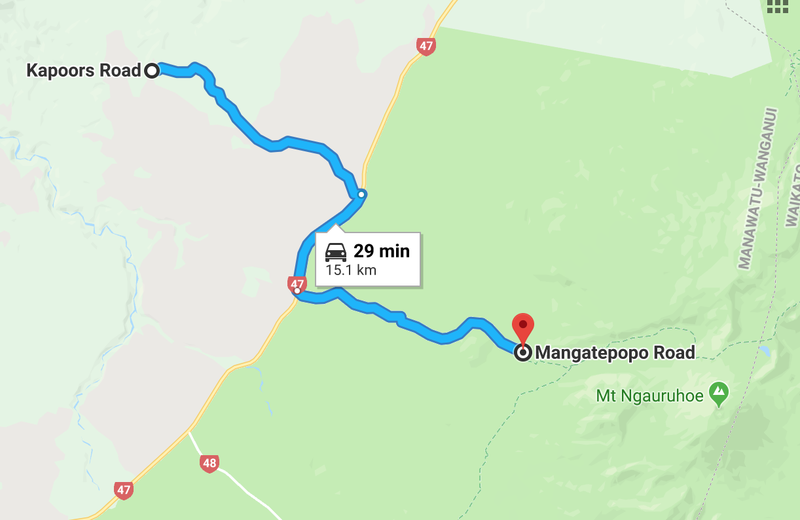 Grant – the man who owns Owhango – referred us to a friend of his, George, who runs a shuttle bus in the Tongariro/Ruapehu area and was able to pick us up from Slab Road and take us to Mangatepopo. The last section of the Traverse wasn’t nearly as picturesque as the initial section of the trail. 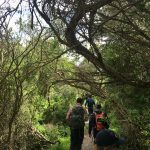 We continued hiking on a gradual incline from our campsite on a similar path and through similar territory for some time until we came into more open paths that weren’t nearly as covered as before. Still very much a foggy morning, we’d arrived at the Mangatepopo car park at around 11:30 where the plan was to head to the hut of the same name, have a good break and then head south-west to the Skotel. This was without a doubt the best part of the day. 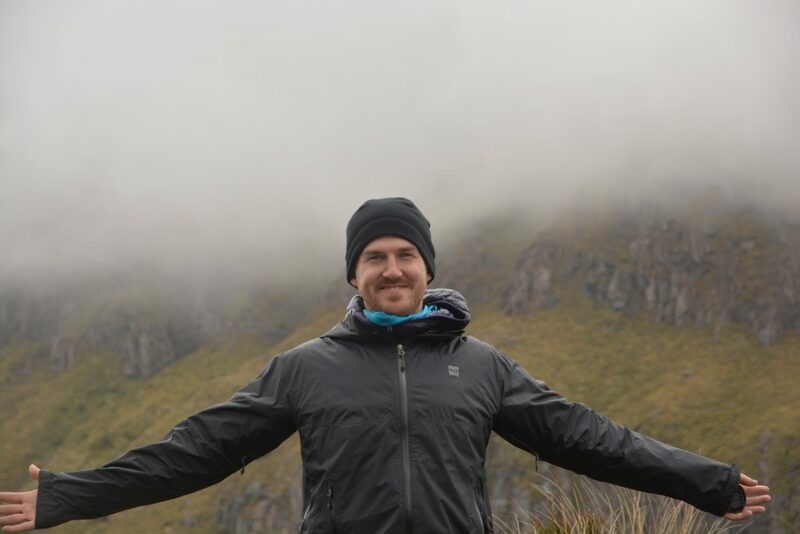 If you haven’t visited the Tongariro National Park yet, I would highly recommend that you do. 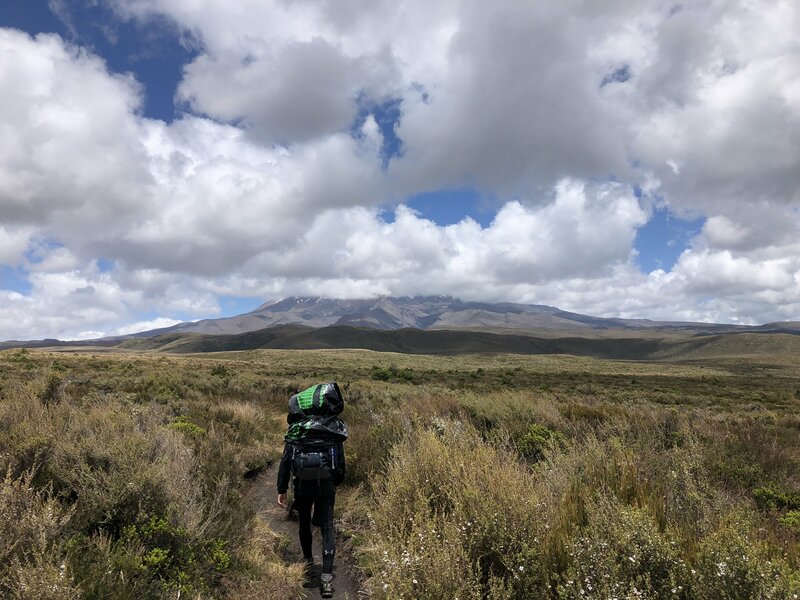 From spending the last 11 days on the road and in forest areas, the terrain in the Tongariro National Park is out of this world. 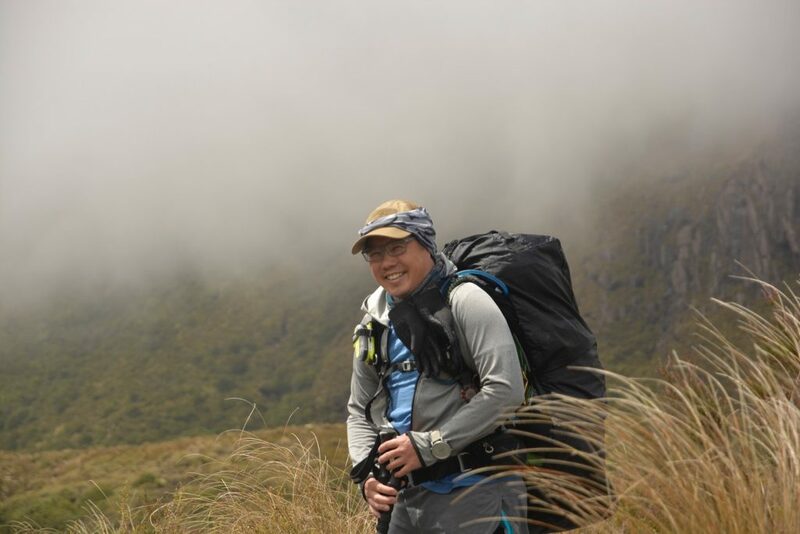 Rolling green hills, volcanic mountains, scree as far as the eye can see, and absolutely littered with tussock grass, you really can’t help but feel like you’re on another planet. The Mangatepopo Hut wasn’t too far from the car park and made for a great resting point. While we weren’t able to go inside, it still looked incredibly spacious from the outside and I later found out that it houses 20 bunks inside. It also had a fairly sizeable deck for us to sit on and relax for a bit so not being able to go inside wasn’t such a bad thing afterall. If you are looking to stay there, it costs $36 per night per adult during peak season (October-April) and $18 per night per adult during the off-season (May-October). 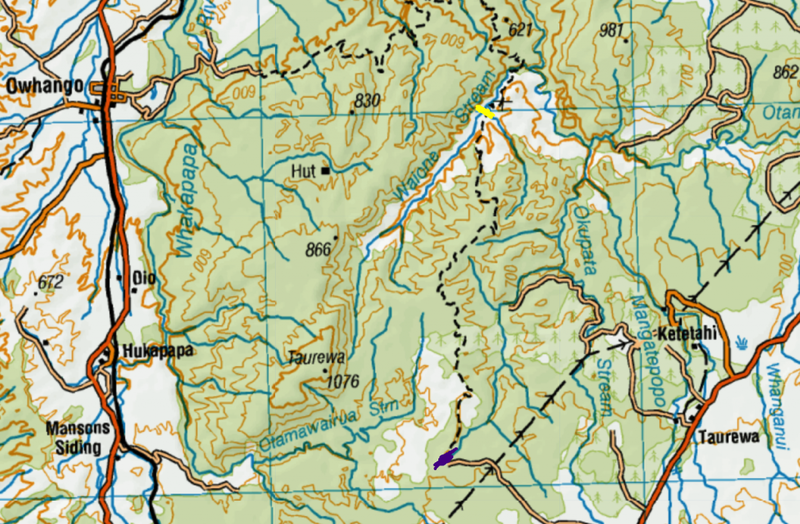 Once finished here, we backtracked to a junction and then began our journey south-west along the 10km Mangatepopo Track. 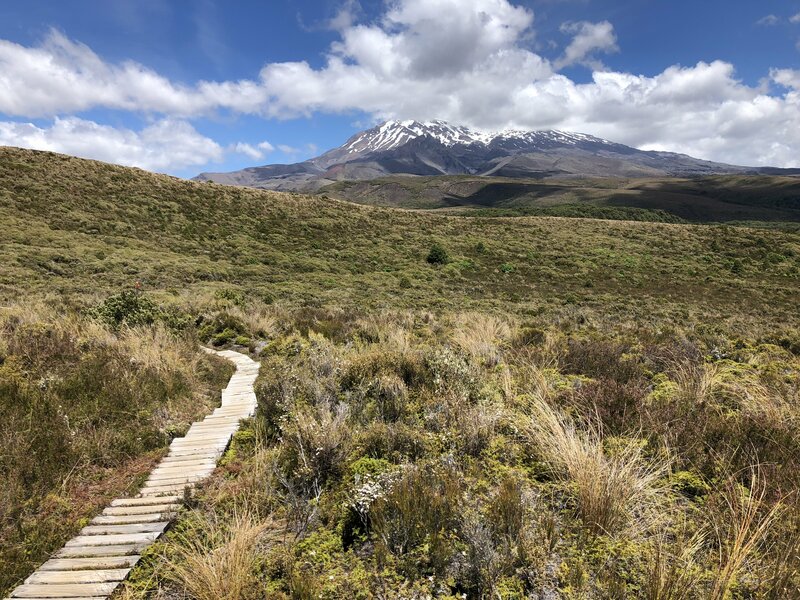 Fairly hilly, and along a reasonably rocky path, most of it is exposed to the elements with amazing views of Mount Ngauruhoe and Mount Tongariro behind you, and Mount Ruapehu in front of you. 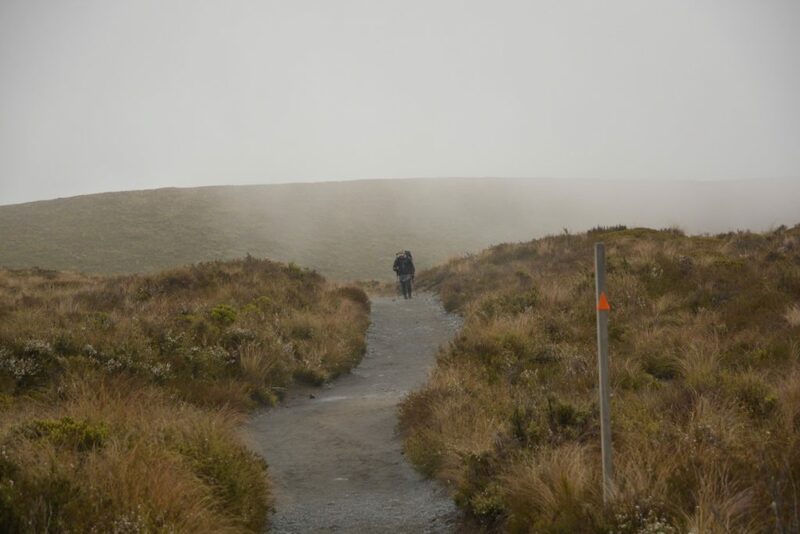 For us, this was the final path we would take before our destination in Mount Ruapehu. At first, we really couldn’t see much of the mountain from the trail as you slowly make your way up this seemingly neverending hill that dips and rises. 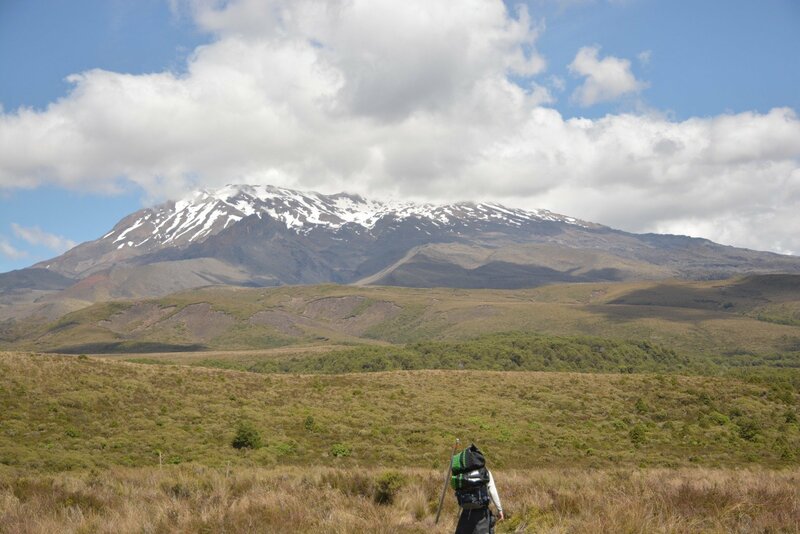 But once you hit the top, and on a clear day, there sits Mount Ruapehu. The best way I can describe the feeling when you see the mountain for the first time from the trail is overwhelming. While it’s roughly 200m higher than Mount Ngauruhoe, it seems vastly bigger. Eventually, the trail cuts through a mixture of bushland trail and boardwalks which is also part of the Taranaki Falls Walk – another good little short walk in the area. 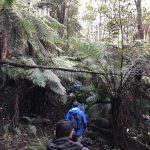 Out of the bushland section and back onto another short section of exposed trail surrounded by tussocks, we had finally arrived at our accommodation – the Skotel Alpine Resort. Our journey was almost over. Maybe use it as a last resort, but using transport to get yourself a little further down the road on a thru-hike isn’t such a bad thing. I remember when I posted at the time on my Instagram Story about the lift we had organised that I received a few negative comments from one of my followers. She had actually been keen come with us but ended up deciding not to. The basis of her comments were that we were cheating, it wasn’t a proper thru-hike, we’re not really hikers if we do that and on it went. She was promptly blocked as I had no interest in explaining to her that her comments were misinformed and not warranted. Is it necessary? Probably not. But if it assists you for whatever reason, and you can get access to it, then have it up your sleeve as a last resort. Thank you, Roberta. Certainly an amazing place to visit and explore! Have you been?